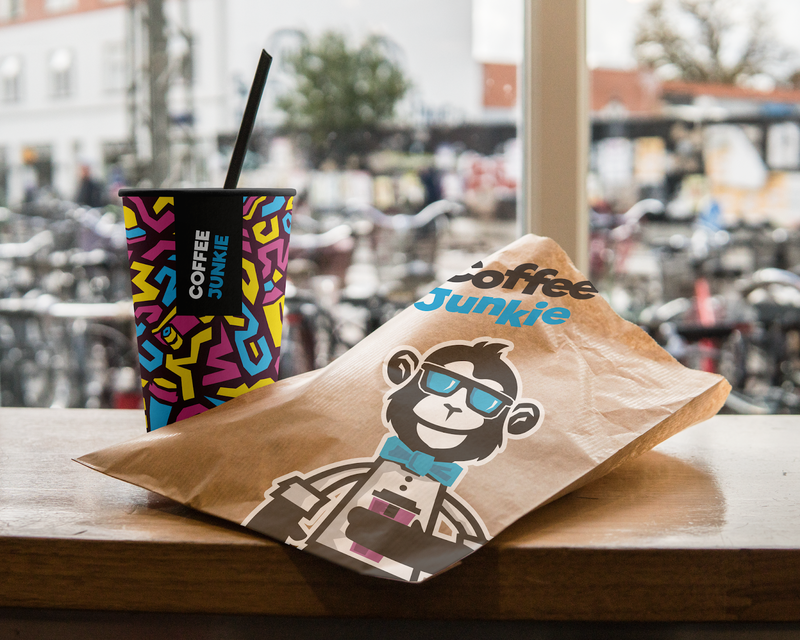 Coffee Junkie is a small, stylish coffee shop in Vienna, a favorite place of creative urban youth. 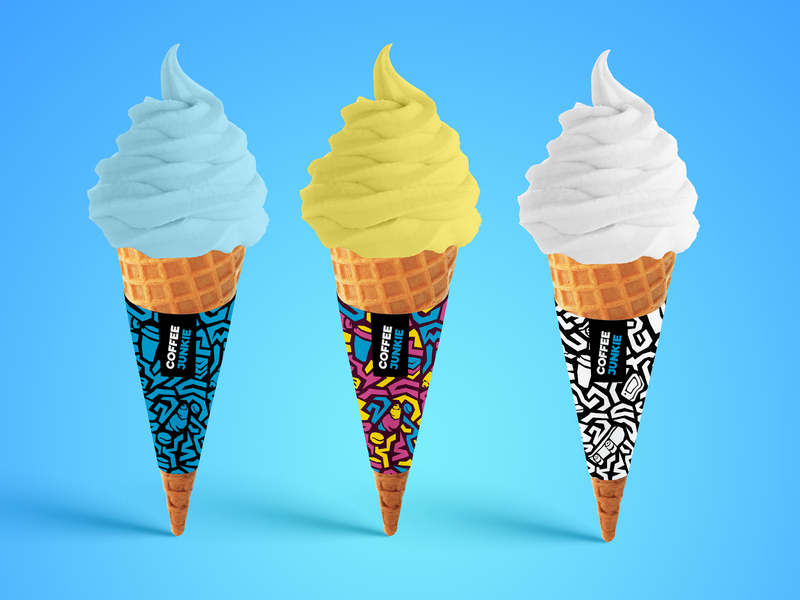 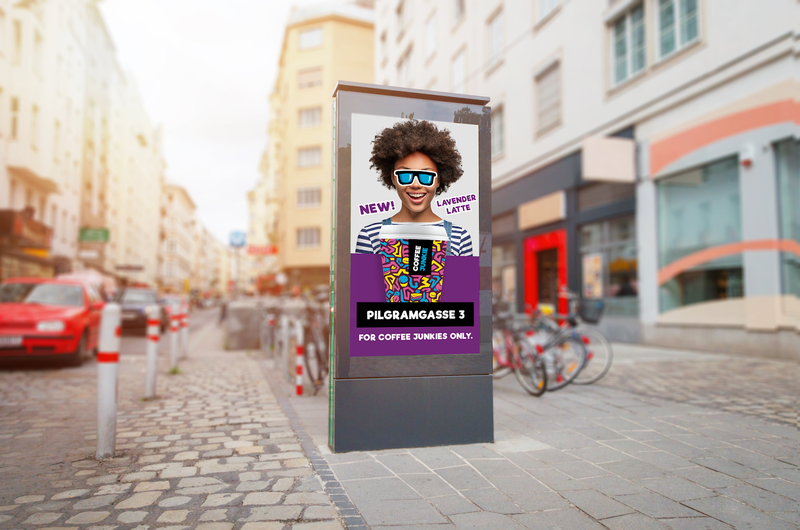 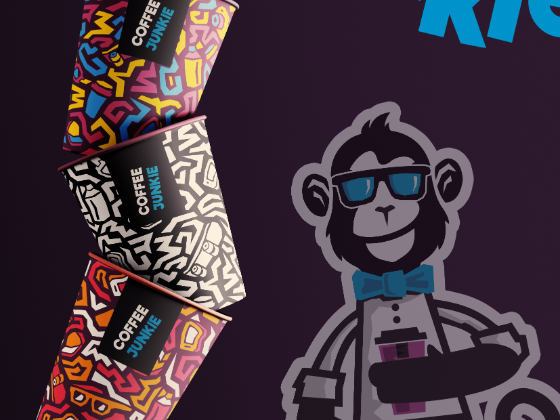 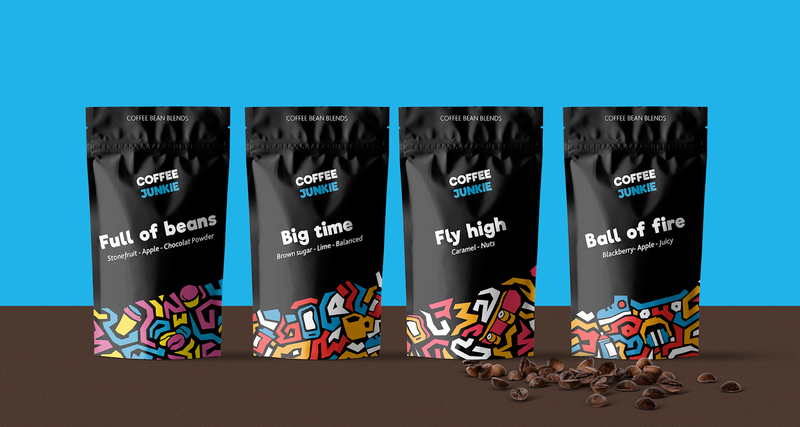 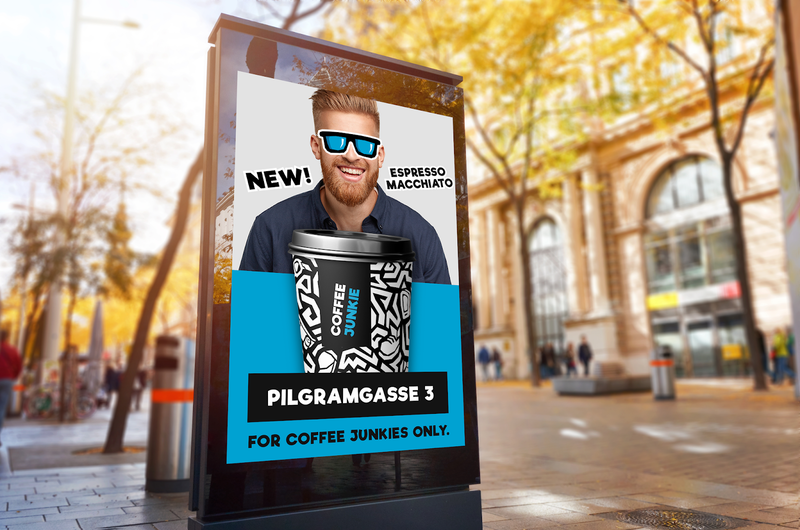 Inspired by themes such as URBAN, CREATIVE, ART, we could not ignore the theme of graffiti, all the more so, because it fits organically with the hipster and humorous "Coffee Junkie" name, as well as the style and intonation of our brand. 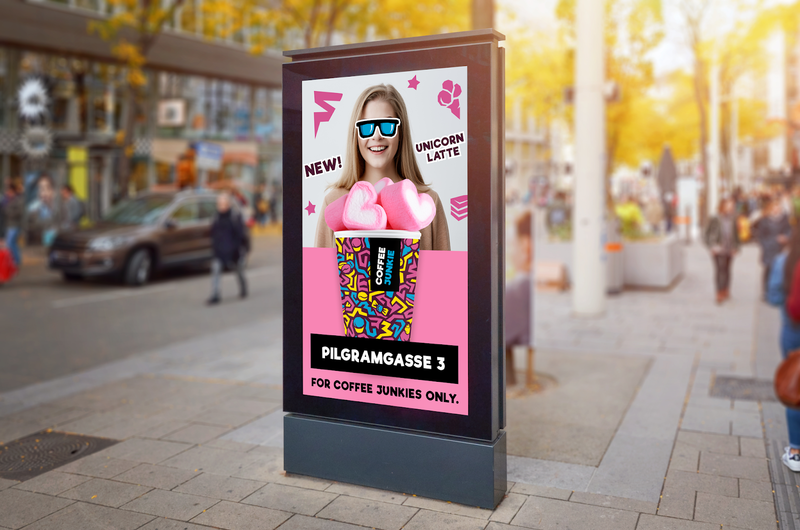 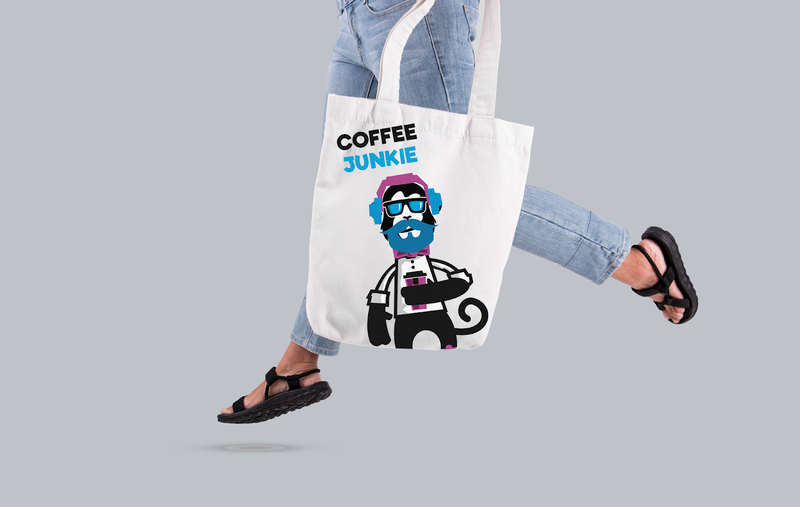 Having developed a corporate pattern as a stylization of graffiti, we added objects into it related to youth, hipsters, and coffee themes. 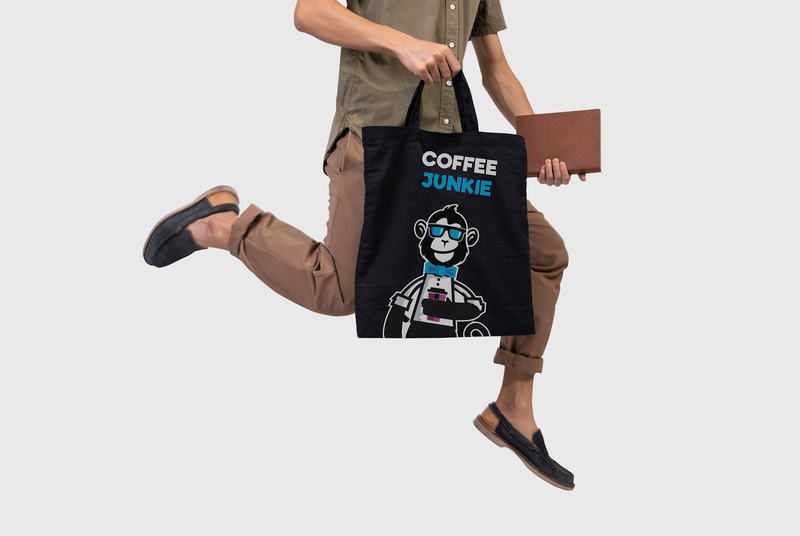 Communication in the interior, printed and souvenir products will be supported by cool and stylish character – the Monkey!